THE LACK OF UNIFORM STANDARDS encouraged a Congressional initiative that culminated in the adoption of the Organic Foods Production Act (OFPA) of 1990 to provide oversight, through the United States Department of Agriculture (USDA), to the rapidly growing organics sector. The goal was to create a “level playing field” with high integrity, transparency, and a verifiable audit trail, assuring consumers that organic food was produced to high, uniform, and ethical standards. Although the USDA was unenthusiastic about the prospect of regulating organic food—and informed Congress of this in their direct public testimony—the legislation was enacted as part of the 1990 Farm Bill under the guidance of Vermont’s senior senator, Patrick Leahy. Flying below the radar, this would be the last time that large food concerns and agribusiness lobbyists ever neglected to monitor the organic community’s relationship with Capitol Hill. Part of the new “organic law” mandated the seating of a very special advisory panel that would oversee organic food production and handling procedures and any materials that would be approved for use in organic production. With a legislative mandate unlike those of other USDA advisory panels, The National Organic Standards Board (NOSB), made up of four farmers, three consumer and public interest representatives, three environmentalists, two food processors, a retailer, a scientist, and an organic certification agent, began meeting in sincere in the 1990s. They made recommendations to the USDA and provided guidance that the agency would use to draft and implement the regulations. The USDA, however, chose to ignore much of the expert and public testimony taken during many years of sincere participation from stakeholders in the organic community, as well as the advice from the NOSB, when the agency promulgated its first draft of organic regulations governing the production, handling, and processing of organic food. 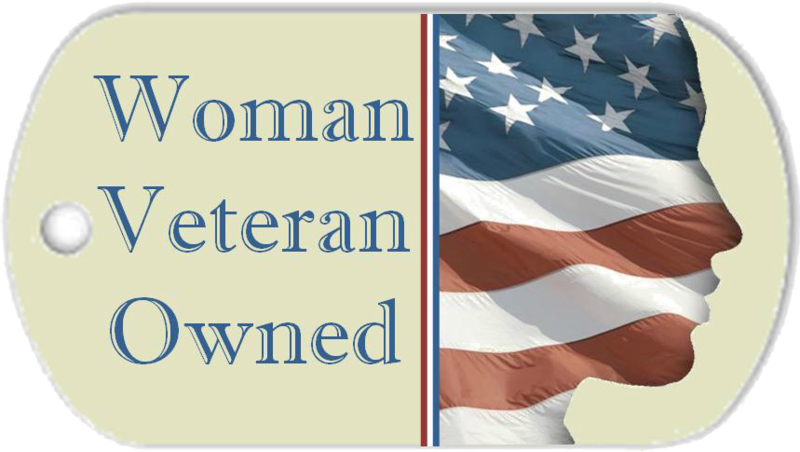 The draft was published in the Federal Register in December, 1997. The USDA’s suggestion that the use in organic production of genetically modified organisms, sewage sludge, irradiation, antibiotics, slaughter by-products, and other objectionable items and practices immediately lit a firestorm of opposition. Over 300,000 public comments (a national record) were submitted to the USDA, almost exclusively condemning their draft proposal. The draft was quickly withdrawn, and the organic community was once again, albeit in a shell-shocked state, attempting to collaborate with the USDA in fulfilling the promise contained in the 1990 enabling legislation: fair and judicious oversight by our federal government over organic food and its production. It would not be until the fall of 2002 that the final draft of the organic rules would be adopted and go into effect. Despite the fact that the “Final Rule” largely reflects recommendations of the NOSB and public comments submitted in response to the first and second proposed rules, it contains vague language in several sections and has not been vigorously supported or enforced by USDA. 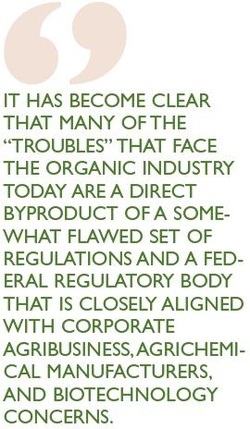 It has become clear that many of the “troubles” that face the organic industry today are a direct by-product of a somewhat flawed set of regulations and a federal regulatory body that is closely aligned with corporate agribusiness, agrichemical manufacturers, and biotechnology concerns. Why hasn’t the USDA been strictly enforcing the regulations that are on the books? Curious readers can find documentary evidence of the incestuous relationship between the USDA, corporate lobbyists, and large political contributions in two reports: USDA Inc.: How Agribusiness Has Hijacked Regulatory Policy at the US Department of Agriculture, by Phillip Mattera and published by Good Jobs First (available at www.agribusinessaccountability. org/page/325/1) and A Matter of Trust: How the Revolving Door Undermines Public Confidence in Government—And What to Do About It, written and published by the Revolving Door Working Group (www.revolvingdoor.info). The reports outline the pedigree of the current Administration’s political appointees at the USDA and their direct links to the most powerful food and farming corporations in the world. These corporations either have been hostile—investing in a disinformation campaign to both discredit organics and stifle its growth—or have been gobbling up the pioneering organic companies and then cutting costs by industrializing their processes by sourcing ingredients from factory farms and Third World countries, threatening the standards, ethics, and vision of organic production. But don’t simply take our word for the gross failures by the USDA to carry out their two fundamental duties: co-managing the administration of the federal organic regulations with the NOSB, and the accreditation of the nation’s organic certifying agents. Readers are invited to review two scathing reports issued in 2005 that critique the performance of the USDA’s National Organic Program. One report is an audit—a periodic peer review mandated by the OFPA law and carried out by the American National Standards Institute. It found that the agency was deficient in many of the statutory responsibilities in overseeing the accreditation of the nation’s organic certifying agencies. The second report was an investigation undertaken by the USDA Inspector General’s office. It profiles lax USDA oversight and the agency’s refusal to work collaboratively with the NOSB (as the law requires). Many scores of recommendations made by the NOSB have languished for years without the required action of the USDA. A number of well-placed industry observers estimate that somewhere between 30 and 40 board recommendations have never even been addressed. In addition, appointments to the NOSB are now being made in secret. While the Federal Advisory Committee Act (FACA) does not require the USDA Secretary to publicly announce the nominees to the NOSB (or other citizen-committees) prior to their appointment, during some of the rounds of previous appointments stakeholders in the organic community were invited to comment on potential nominees to this critically important board after their names were publicly posted. This effort reflected a desire, at the time, by the USDA to build goodwill. The result was a highly respected, bipartisan, and diverse body that truly reflected the broad interests of a maturing industry, an industry that now exceeds $15 billion in annual revenues. However, in recent years the USDA has utilized the more traditional process of having candidates privately vetted by political/policy appointees in the Secretary’s office without providing the opportunity for public dialogue. Secretary and General Mills from a consortium of nongovernmental organizations (including the Consumers Union, publisher of Consumer Reports magazine) the nomination of the General Mills employee was withdrawn. Obviously, openly collaborating with the public would have served USDA Secretary Mike Johanns well, by saving embarrassment and by appointing an advisory panel of the highest quality, integrity, and independence.